2017 | kdts Co. Ltd. | kdts Co. Ltd. 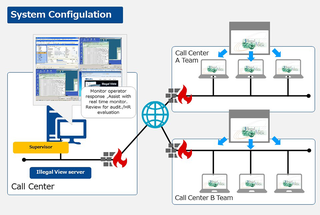 Tips: On-screen trail solution Ilegal View whitelisting function works against cyber-attack very effectively. 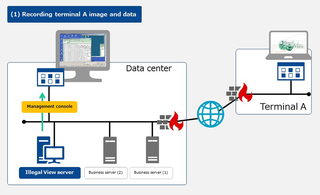 Today's topic is how screen trail, log trail software, Illegal View can contribute to create your strong end-point security system with whitelisting function. Objective: Effective utilization of Amazon Web service over cloud computing. 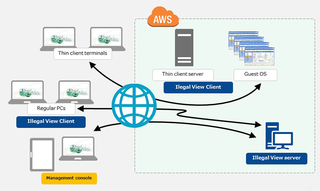 Illegal View server and Clients are deployed over Cloud computing and are able to record all on-screen data and operation data of both thin client terminals and regular terminals without fail. Objective: Server Maintenance Activity Audit Company is obliged to assign monitoring person to witness and monitor the server maintenance work by third party contractor on site to ensure that the work is properly and rightfully conducted. It has incurred a lot of expense and manpower to do this monitoring. KDTS Co.,Ltd has now released a new product SPIDER , a software specifically designed to manage privileged ID user and regular ID user activity. New Product SPIDER is now released. 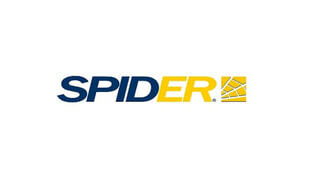 KDTS has now released new privileged ID and regular ID management solution "SPIDER". Please click here SPIDER site for more details. The fifth HR expo was held at Tokyo Big Site and Illegal View was demonstrated at the site by HItachi Solution Create Co,ltd. The latest Illegal View was released today. 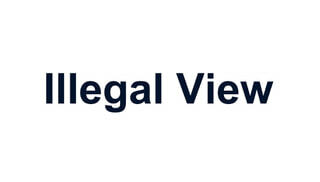 Illegal View server (Ver.30May17) and Client(Ver.30May17) are now released. Illegal View Server (Ver.30May17) - Alert mail sending is in compliance with SMTP certification. Illegal View Client (Ver.30May17) - File access alert has now 4 different alert mode (Open, Close, Read, Write) and issues corresponding alert. (see note) - IE11 and Edge text recording function are now available. 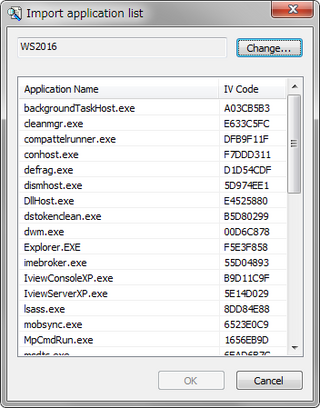 Note: After the release of Windows 10 anniversary update, MS has changed certification policy and thus this new file access function is limited with this version at this moment. But,this function can be fully utilized with the previous versions.